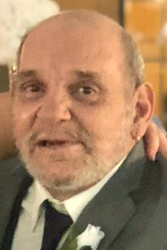 NILES — William G. “Gary” Aceto, 67, passed away unexpectedly Friday afternoon, February 8, 2019, at St. Joseph Warren Hospital. “Gary” as he was affectionately known, was born December 14, 1951, in Akron, the son of Robert E. “Middy” and Patricia Wilt Aceto. Gary is survived by his daughters, Angela (Brian) Darrow of Diamond and Jennifer (Rob Justice) Auchter of Warren; a son, William G. “Gary” (April) Aceto Jr. of Warren; two grandsons, Ethan and Aiden Auchter; and his ex-wife and friend, Tamara (Chris) Riley of Warren. He was preceded in death by his parents; a son, Sam Aceto; and a sister, Cheryl Aceto. In accordance with Gary’s wishes, there will be no funeral services or calling hours. His family is planning for a celebration of his life gathering to be held at a later date. Gary’s family suggests that anyone wishing to express their sympathy can do so by making a donation to the charity of their choice, in his memory. This obituary may be viewed and condolences can be sent to Gary’s family by visiting www.carlw hall.com.